In 1905 Jerusalem-born Israel Porath married Polish-born Peshe Miriam Ticktin in Jerusalem. They were both 19 years old. The portraits below are the earliest pictures the family has found. Until the Balfour declaration in 1917, Jews in the old Yishuv, [the Jewish community in pre-State Palestine], lived quietly under whatever force ruled the land and strived to be good Jews. In Jerusalem most men lived lives of study and prayer, supported by gifts from other Jews throughout the world. The years after World War I in Palestine were marked by much economic hardship. There were the challenges of a dramatic increase in Jewish immigrants and the uncertainty of a change in governance -- the British mandate began in 1922. There were also tensions between many in the old Yishuv who fervently believed that the State of Israel must be the result of Divine intervention, and those who followed Rabbi Abraham Isaac Kook's views that men - even nonreligious Jews and non-Jews - were acting to create a Jewish State. Israel Porath felt that tension personally, for though from the old Yishuv, he was also a student of Rabbi Kook. Israel Porath was determined to earn his own livelihood, as his father and grandfather had done. 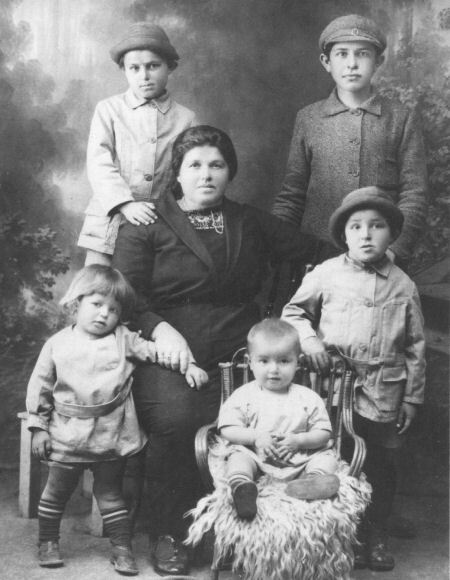 Faced with the need to support his growing family (he and Peshe Miriam were now parents of five boys) in these hard and uncertain times, he had to look to England, and then to the United States, for employment. 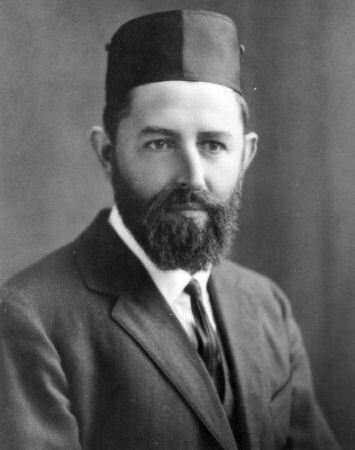 Early in 1922 Rabbi Porath left for England to take a position as a congregational rabbi in Liverpool. On November 11, 1922 he left Liverpool on the SS Baltic, arriving in New York City. Peshe Miriam Porath, unwilling to wait in Jerusalem for her husband's return, decided to join him. 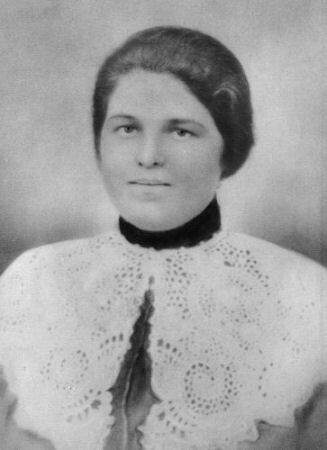 In late September 1923 she and the boys left from Haifa on the SS Canada. The ship stopped at Naples and arrived in Providence. Rhode Island on October 1, 1923. For "Why Israel Porath left Palestine in 1922", thanks to Paul Porath and his niece, Rabbi Porath's great granddaughter Naomi Ofan's B. Ed. thesis at The Lander Institute in Jerusalem and the comments of others. For more on the Yishuv in those post World War I years, click here.